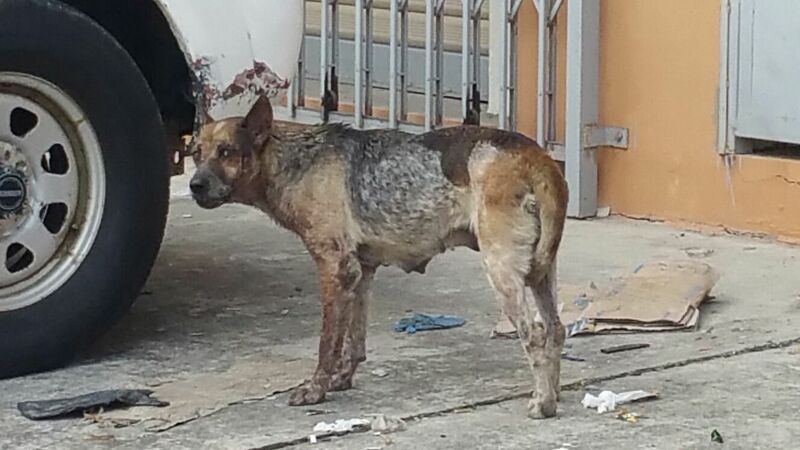 SPCA Sandakan received a report early morning today on an alleged abuse case. 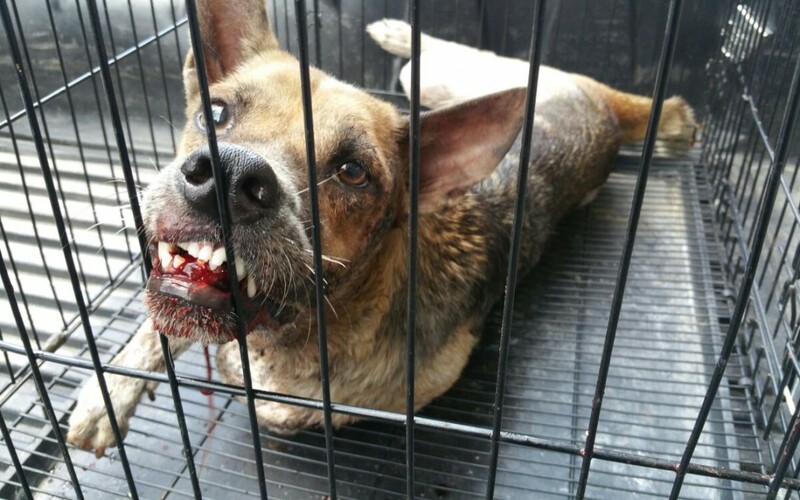 An adult local breed dog we named Nono was found bleeding from injury in Bandar Lee Tat. It appeared to our rescue team that Nono was hit in the facial area including its mouth by hard object, causing injury and bleeding. Nono’s leg also suffers unknown injury. Nono is now on its way to the vet to be diagnosed and treated accordingly. 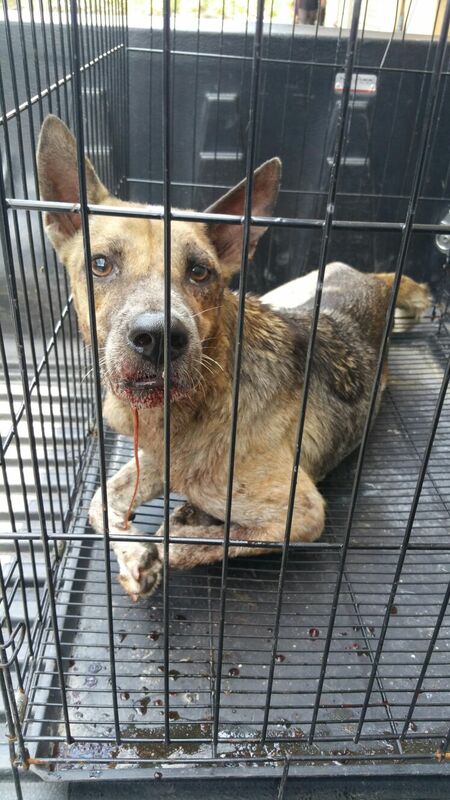 We would like to once again raise public awareness to stop animal abuse, if you notice or suspect any animal abuse case, please do not hesitate to take action immediately, our animals do not deserve to be victim of cruelty even for a second. 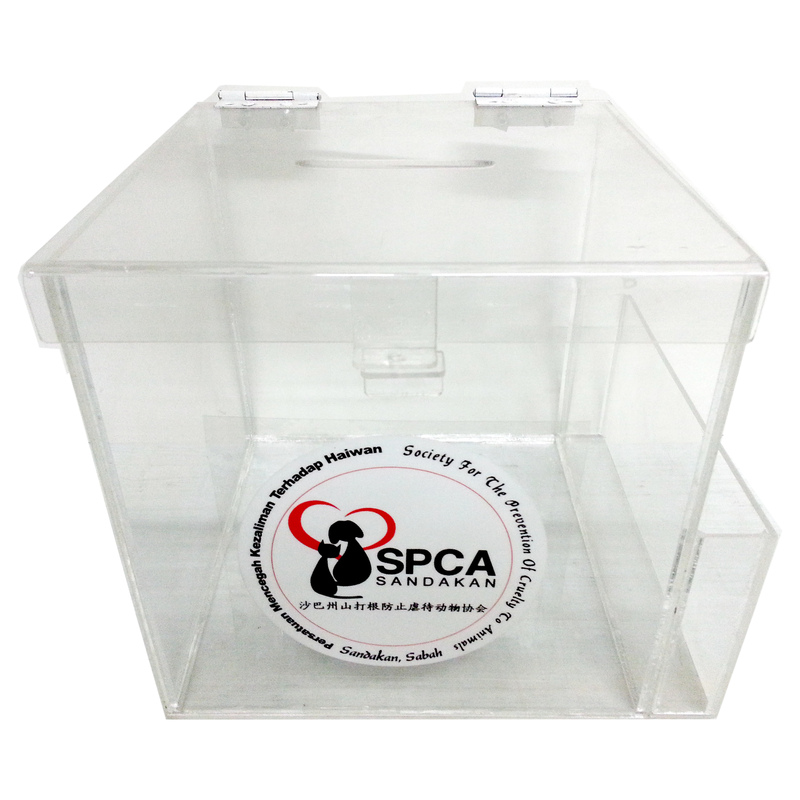 A token of appreciation to the person who reported this case to SPCA Sandakan.